Select at least one edge in each hole you want to fill. Click the PolyFill tool on the Polygon tab. The Quadrilaterals fill mode is most useful for filling in small groups of polygons, and can handle a wider variety of shapes, such as an L-shaped hole or a spiral. The Perfect Grid Quadrilaterals fill mode can handle fewer shapes, but often generates a better patch with better interpolated attributes. If you are filling in a round hole, the Perfect Grid Quadrilaterals fill mode will likely give you the best results. Some holes may require additional smoothing to fix UV values. You can use the Smooth parameter to position the geometry where you like, then append a UV Smooth to fix the UV values separately. If a projection plane normal cannot be found for your geometry, you may want to use the Clean SOP to clean up your geometry first, especially consolidating points. Each patch is automatically fused to the boundary; however, there is an option to turn on the Unique Points checkbox in the parameter editor. 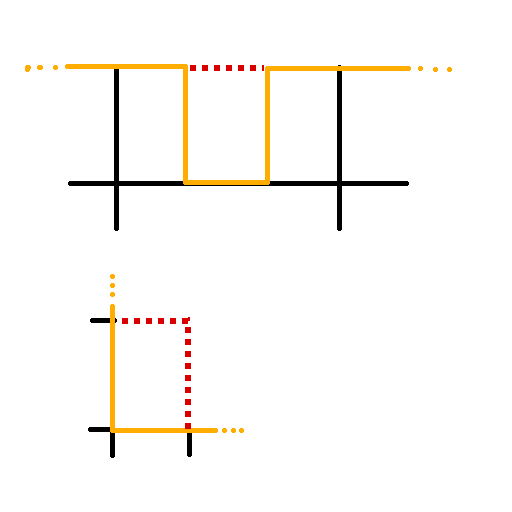 A list of boundary edges which define the holes to be filled. If this group is empty, all holes in the input geometry will be filled. The algorithm used to fill the holes. Fills each hole with a single polygon connected to all of the points in the hole. Fills each hole with triangles. This is the same as filling with a single polygon, then applying a Divide with Don’t Generate Slivers and Avoid Small Angles on. Places a point in the center of the hole and connects it to each point on the boundary of the hole. Places a point in the center of the hole and connects it to every other point on the boundary of the hole. Fills each hole with quadrilaterals by mimicking how a human might do it. It searches for U shaped holes to fill with an extra edge. If none can be found it searches for L shaped sections instead, which are filled by generating a perfect parallelogram. It prefers to add the next quad in the vicinity of last one. This typically gives the best results if Smooth is on. Fills each hole with quadrilaterals in a topologically perfect grid. This typically gives the best results if Smooth is off. Find the rest of each hole when the boundary group only contains part of a hole. Turning this off allows you to select, say five edges of a hole, and the patch will only cover those five edges, not the entire hole. Reverse the orientation of the created polygons. Create patches with their own points. Recompute point normals, if they exist. Create an edge loop around each hole at the given percentage along each edge. If Smooth is on, the position of the edge loop is generated after any smoothing occurs. Smooth the attributes on the patches. This is the same as applying a smooth with the given strength. Rotates the corners of the quads generated by the Perfect Grid Quadrilaterals and Quadrilateral Fan fill modes. A point group which specifies which boundary points should be corners of quads. In the Quadrilateral Fan fill mode, a single corner can be chosen to determine where the fan is generated, as there are only two possibilities to fill in each hole. In the Perfect Grid Quadrilaterals fill mode, at least two adjacent corners of the grid must be included in this group for each hole you want to choose corners for. If a hole has no points in this group, the most suitable corners will be automatically detected. Allows the patch to be deformed from its default position. The Triangle Fan and Quadrilateral Fan fill modes can be extruded with the Surface Offset parameter. The Perfect Grid Quadrilaterals fill mode creates a smooth perfect grid which can be made to follow the surface of the surrounding geometry with the Surface Offset and Tangent Strength parameters. The distance to stretch the patch. How strongly the patch follows the surrounding geometry. A group that contains the primitives in the interior of the patch. A group that contains the primitives adjacent to the edge loop. If a group already exists with the given name, add the primitives to that group instead of replacing it.